Just stop by. We offer free estimates with no appointment needed. We use computers loaded with an up-to-date databases for most makes and models. This helps us figure the cost of repair for your car accurately and get it up-and-running like new again. We’ll print a computerized report detailing the work needed and the costs involved. If you don’t feel comfortable driving your damaged car, no matter how damaged it is, you can leave it with us and we will arrange transportation for you. After our estimate, your insurance company may inspect your vehicle and create their own estimate. Before we start repairs, we make sure our estimate is in agreement with your insurance company. Occasionally we find additional damage after a vehicle has been disassembled. If there is additional damage found, your insurance company will cover the additional repairs at no cost to you. If your vehicle repair requires parts, we can get them quickly. We have an extensive list of parts suppliers that deliver to us on a regular basis. Streamlining the parts ordering process makes for a timely vehicle repair. We specialize in frame repair. We have two frame repair machines to help ensure that frame repairs are done in a timely manor. Because of our experience, other local repair shops come to us for frame and suspension repairs. We use a sophisticated repair system to carefully and accurately measure, analyze, and align the frame of your vehicle to restore it to its original factory specifications. We specialize in everything from small dents and dings in body panels to vehicles that may have been listed as total loss by your insurance company. The body repair process involves replacing any damaged exterior parts as well as any necessary metal finishing. 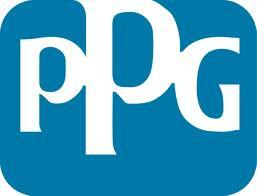 We use PPG Paint, the original paint formulation used on most vehicles today. We match your vehicle’s paint color perfectly. Even if your original paint had faded, we’ll tint the original formula to exactly match your vehicle. To ensure the best adhesion possible, we sand down the area to be painted, masking and priming it for refinishing. Once structural repairs are complete, we reassemble with new parts that were previously ordered and check for proper fit. We then check to verify that your car is structurally sound and ready for delivery. After completion, your vehicle is hand washed and cleaned thoroughly. Your vehicle’s repairs are carefully inspected for proper fit, alignment, and color match. We road test all vehicles to make certain there are no problems and that the the vehicle handles properly. When your car is ready for pick up, we will meet with you to review your invoice and answer any questions. Our goal is to make sure you’re 100% satisfied with our work. All your collision repairs have a life time guarantee for as long as you own the vehicle.